The nightmare continues at Helios and Matheson Analytics, parent company of MoviePass, where crashing stock values are putting the company at serious risk of being delisted by Nasdaq. The latest attempt to rescue the situation comes as the company declares its intention to hold a special meeting of stockholders to declare its intention to carry out an up to 1 in 500 reverse stock split. This action follows the withdrawal of a similar proposal last November which followed dissension by stockholders. It remains to be seen whether this announcement will be met any more favorably by stockholders, as it will lead to the dilution of their holdings and the issuing of many more shares. The reverse stock split option is not a new route for Helios and Matheson. 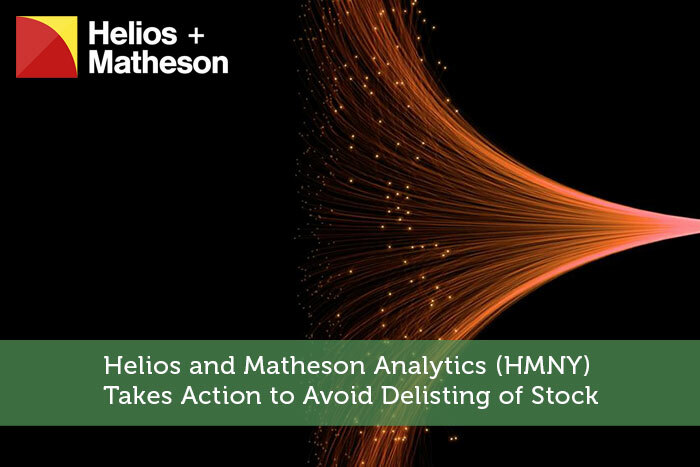 The company took a similar action back in August 2018, when a 1 for 250 stick split lead to HMNY stock rallying briefly before crashing dangerously again. This dire situation has arisen from Helios and Matheson’s takeover of MoviePass in 2017. It was a deal that seemed like a good idea to begin with. MoviePass was listed amongst “The Best of Everything in 2012″ by Business Insider, and it seemed like things could only get better. However, that was not to be the case. Since it’s initial warm reception, MoviePass has faced some major issues. Following on from its early days when millions of subscribers raved about its services, it’s business model began to crumble. As subscription plans were re-worked, and their benefits were slashed, so there was increasing unrest amongst subscribers. As MoviePass began to struggle severely, so did Helios and Matheson, as it’s parent company. Helios and Matheson stocks have continued to be in trouble ever since. An illustration of just how bad the situation is, is the fall in the price of stock that was awarded to Helios and Matheson CEO, Ted Farnsworth, in 2017. On award, the stock was worth $7.25 million. As of December 8 2018, it was valued at $50. Given this situation, you can see why the company is at threat of being delisted. Not all of Helios and Matheson’s problems are connected to the MoviePass issue, but most of them are. The latest declaration of the intention to put a proposal of a reverse stock spilt option to stockholders, is accompanied by a further move. Helios and Matheson has filed to have MoviePass set up as a separate entity. This will separate its issues from those of the parent company. It remains to be seen whether this will make the pill any easier to swallow for stockholders, and whether it will improve the fortunes of HMNY stock itself. 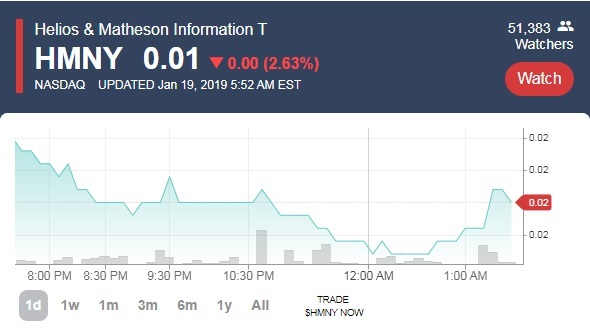 Only time will tell whether the actions Helios and Matheson is taking succeed and whether delisting can be avoided, now and in the future.